Spend an exciting day outdoors with this epic 'off-piste' mountain biking adventure for two in Brechta Forest, a beautiful mixture of natural forest and managed woodland in Wales. 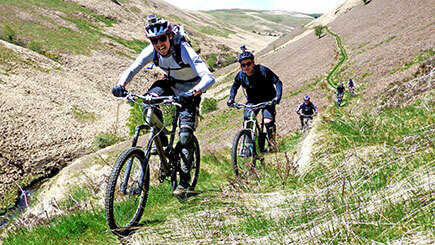 Get your bike and gear ready to experience some of the best natural singletrack that Wales has to offer. Don't worry if you don't own a great bike or if you don't want to take yours on the trip, bike hire is available. Throughout the day you'll be led by your own exclusive, qualified MTB guide, there to help riders negotiate their way through some superb 'secret' routes. There is even a delicious packed lunch to help keep your strength up and at the finish, transport is provided back to HQ. Seven days a week (subject to availability), excluding the Christmas and New Year period. Minimum age is 14, must be accompanied by an adult rider (18 or over). Participants need some previous cycling experience and must possess a reasonable level of fitness. This experience is only cancelled in extreme weather conditions. Please call the venue before setting off if in doubt. If an event is cancelled by the partner, an alternative date can be arranged. Exclusively for two people and one guide. 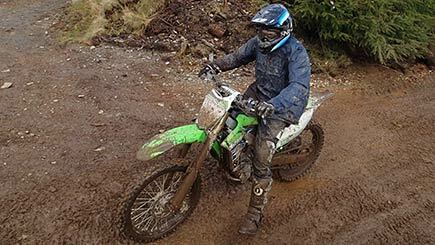 Please bring suitable clothing, footwear, waterproofs, a rucksack plus a helmet (if bringing your own bikes). Glasses and gloves recommended. Bring mountain bikes from home (secure storage provided) or hire them for an additional fee, including helmet (please arrange this at the time of booking).